What better way to get to know Northern California than by going on a Wright scavenger hunt? Whether you're traveling with your family or friends, you're sure to get a kick out of discovering these architectural treasures. It can help you save a lot of time down the road if you call and schedule tours ahead of time. Keep in mind that tours are not held every day. Even fewer tours are held on the same dates at different locations. Start your planning by reserving an ​early afternoon tour at the Hanna House, which will be your second stop. 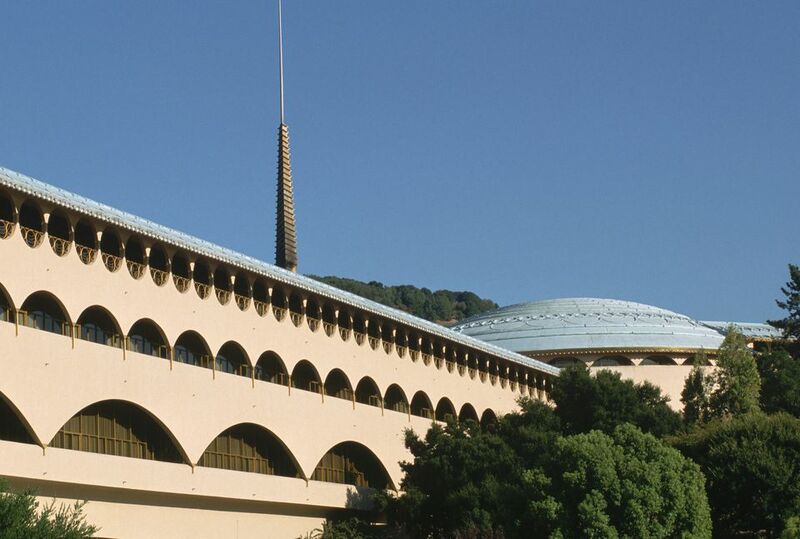 Planning gets trickier if you also want to take a guided tour of the Marin Civic Center. If you have to choose between a tour at the Hanna House or a tour at the Marin Civic Center, opt for the guided version at the Hanna House (where you won't get in at all otherwise). You will get just as much information from the self-guided tours at the Civic Center as you would with a guided tour. The publicly accessible Wright sites in the San Francisco area are somewhat spread out. Although there is no correct order in which to see his buildings, this suggested itinerary can help you optimize your trip and see them all in a day. The Marin Civic Center is one of Wright's most ambitious public structures. It's quite large, in fact, this structure with arches reminiscent of aqueducts is visible from the highway. As you walk through the hallways and courtyards of this building, you may notice that it is filled with symbolism and Wright's statements about the government. The Civic Center is open weekdays and they give guided tours. See their website for a schedule and rates. The Hanna House, also known as the Hanna-Honeycomb House was designed for Stanford University professor Paul Hanna, his wife Jean and their five children. It was Wright's first design based on non-rectangular forms. In fact, not a single 90-degree angle exists in this house. The Hanna House is a part of this guide because it was as a turning point for Wright and marks the start of his success. Located just off Union Square, the V. C. Morris gift shop's distinctive arched brickwork was designed to lure passers-by into the shop's airy interior. The interior design has similarities to the Guggenheim Museum, another of Wright's creations. Berger House, San Anselmo - this diamond-shaped home was built using a desert masonry technique. It's 14-inch thick walls protect a beautiful interior which took nearly 10 years to design and build. Frank Lloyd Wright left his mark all over California. If you’re heading to Los Angeles, be sure to check out the many famous Wright houses in the area.